How to choose a good screwdriver: professional or household? Today, a screwdriver (screwdriver) is one of those tools, without which it is impossible to imagine not only a professional builder, but also an ordinary man who is planning to make repairs in his house or fold his own furniture. Before you buy a screwdriver, you must decide for what purpose it will be used. Since the construction equipment market is represented by a large number of models with different characteristics, in order to acquire a good screwdriver, you need to understand this equipment. Therefore, further will be considered how to choose a screwdriver for the house. A screwdriver is a hand-held power tool that is used to tighten bolts, screws and self-tapping screws, as well as for drilling small holes in wooden products. 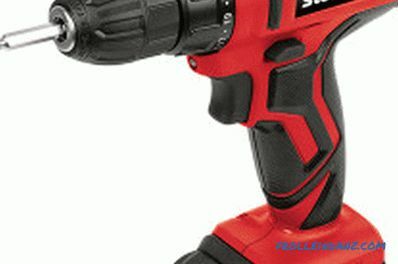 The main difference between such a device and a drill is the presence of a special mechanism that protects the slot of the screw from excessive load, which can lead to the destruction of the product. Screwdriver device: 1. Fastening unit. 2. Regulator effort. 3. Lever change direction. 4. Battery. 5. Charger. 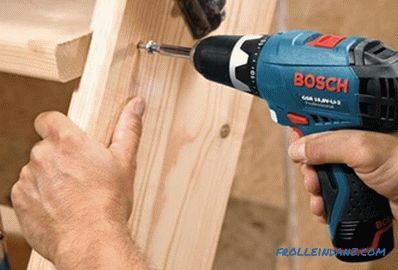 To perform the same tasks as the screw driver, you can use a regular drill. However, as practice shows, it is much easier and safer to use not a universal tool, but a special one. 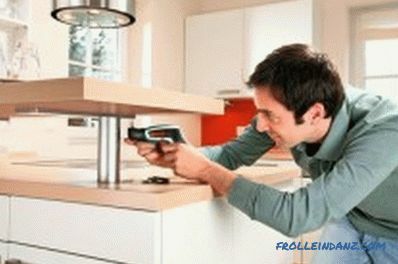 It is very convenient to use a screwdriver for facing works, assembling furniture, installing windows, doors, etc. As soon as the screw is turned all the way down, the protective mechanism will work and the rotational movements will no longer be sent to the cartridge. At the same time, specific clicks will be heard in the protective mechanism. Such a device allows you to save the slot of the screw and prevent wear on the nozzle. In different models of the instrument, from 5 to 22 steps of the safety mechanism are used. Scheme of a professional cordless screwdriver. 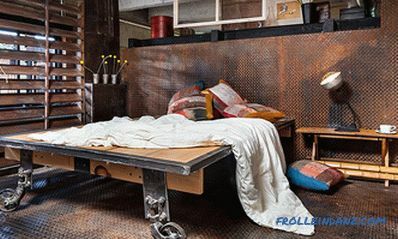 drilling wooden, metal and other surfaces. Professional models are used for capacitive and complex construction and repair work. They are designed for long-term and continuous use, have a relatively large capacity, and in their manufacture only high-quality materials are used. Therefore, the price of such equipment will be much higher. In everyday life, screwdrivers with a torque of 10-15 Nm show themselves well. The professional tool is equipped with a torque of up to 120-130 Nm. At the same time, the rotation speed can reach 1200-1300 rpm, while in household appliances 350-450 rpm is quite enough. If you want to spend a small amount of work and complexity, it is quite suitable for the screwdriver for the house. 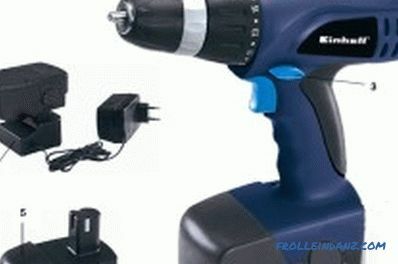 A cordless or a cordless screwdriver? 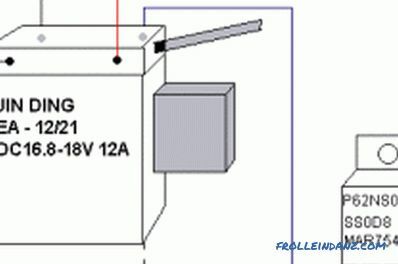 Screwdrivers can be powered by both an AC power source (fixed network) and a battery. A type 1 instrument has 2 drawbacks: it is heavy and has limited use. Battery equipment has less weight and significantly greater mobility. They are convenient to work both on the street and in the building. In this tool there is no wire that would constantly interfere with work. If the screwdriver is necessary for daily work, then you should stop your choice on a professional tool. Each type has its strengths and weaknesses. Batteries of the last 2 types are somewhat similar to each other. On average, they withstand about 1000 and 500 charge-discharge cycles, respectively. They are not afraid of low temperatures, but have a memory effect when the battery capacity decreases due to the fact that it has not been discharged or fully charged.Therefore, before charging, they must be completely discharged. Lithium-ion batteries do not have this disadvantage, and they are also considered more environmentally friendly. But it is forbidden to work with them in conditions of low temperatures, as this will lead to their failure. Choosing a screwdriver, you should pay attention to the presence of a replaceable battery. Choosing a device with 2 batteries is a good and right decision, as an additional battery eliminates downtime. If you understand the advantages and disadvantages of each type of screwdriver and you find it difficult to make a choice in favor of this or that option, then you can purchase a combined type that can work both from the mains and from the battery. 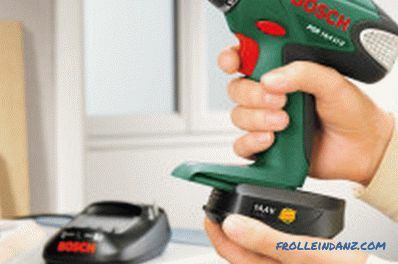 If the work is carried out by a screwdriver at a stationary workplace, it is better to purchase an electric tool, since it does not require recharging and its power is higher than that of a cordless screwdriver. If you contact a consultant at a hardware store with the words "help choose a screwdriver", then you should understand that they are more interested in selling more expensive goods than in helping the buyer. If you do not understand the screwdrivers, get ready to pay a large amount for such a purchase. for tightening or removing dowels and anchors during assembly work. Maximum torque is one of the main characteristics of any screwdriver. It determines what the maximum diameter of the screw can be screwed into wood, metal and other building materials. If you are doing, for example, assembling furniture, then in this case it is better to buy a cordless screwdriver. In most cases, 10-12 Nm of torque is sufficient for home use. With such power, you can easily twist the majority of screws with a diameter of 4 mm to a depth of 90 mm both on wood and on metal. This tool can also drill holes in wood with a diameter of about 12 mm, and in metal - up to 8 mm. 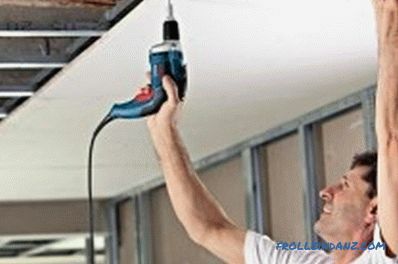 If the screwdriver is used to overlap the roof of your house, then it will be necessary to work with roofing screws, for which it is desirable to use a tool with a power of at least 20 Nm. The maximum number of turns determines the quality of work performed. For example, for screwing in screws, 500 rpm is quite sufficient, and for drilling this value should be increased to 1200 rpm. 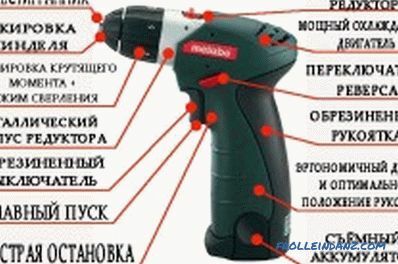 The electrical circuit diagram of the screwdriver. Various modes of operation of the instrument allow it to perform various functions. Very often the screwdriver is used as a drill. 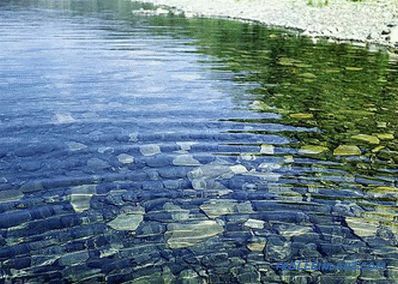 To do this, he must be able to work in the mode of simple or impact drilling. To perform chiselling, the device must be equipped with a perforation function. Screwdrivers for the home can have up to 5 modes of operation, while professional - more than 20. Cartridges for screwdrivers are of 2 types: quick-clamping and key. For the 2nd option you need a special gear key. If, however, a fast-clamping mechanism is used, then in this case everything is much simpler: you can easily insert a bit and a bit holder into it. A key chuck can have 1 or 2 couplings. In the first case, the product is additionally equipped with a shaft locking mechanism when replacing one nozzle with another. If clutch 2, then instead of blocking the cartridge holds 1 clutch, and the second clamp it. The rotation speed is very important for the operation of the screwdriver, since the more revolutions per minute the tool performs, the less load on the motor. The impact mechanism is a rather useful feature that allows you to drill holes in stone and brick. Pulse torque boost is useful for more easily drowning fasteners into the material, when unscrewing the jammed screw or drill. Illumination is a relevant addition when working in hard to reach places or in places with poor lighting. The most successful option is to place the light source above the battery pack. An important function of the device is the ability to control the speed of rotation. Almost all modern models are equipped with such a function. With its help, you can independently set the required speed of rotation of the drill, which allows you to perform the tasks better. An important point when choosing a hand tool is the shape, location of the handle and controls. The most common are screwdrivers with a pistol grip. In this case, it is very important to determine the center of gravity. Therefore, before buying you need to take the tool in hand and understand how quickly a feeling of fatigue occurs. 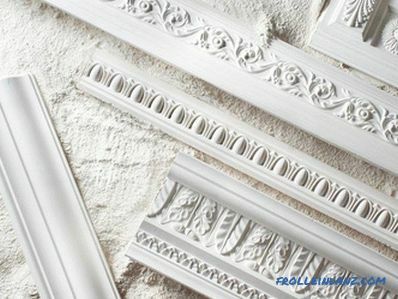 If in a few minutes you feel discomfort, then it is better to choose another model. There are models with 2 handles. They are more convenient when you need to drill a hole. Many hardware stores have special test benches. With their availability, you can take several types of the tool you like and perform test drilling, which will help you choose the best option for you. The quality of any construction equipment directly depends on the manufacturer. Each company occupies 1-2 segments in the market of construction tools both in cost and in characteristics. 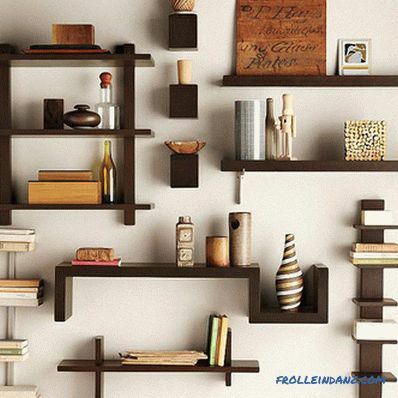 To work at home, you can pay attention to the tools of such well-known manufacturers like Hitashi, Hummer or Bosch. The equipment of these companies is distinguished by good performance, high reliability, modern design and large availability of additional functions. Dewait and Makita trademarks are more specialized in professional equipment, although they also produce screwdrivers for domestic use. But buying a screwdriver just because of the brand means overpaying up to 1/4 of the declared value, because in this case, apart from the functional features of the device, you will still have to pay for the name. 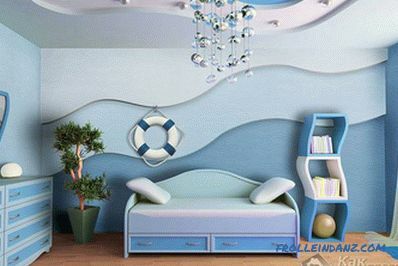 Most of the models of world famous brands also have many additional features built in that you can never even use at home. Comparing all the characteristics of the screwdriver with your needs, assessing its design and ergonomics, you can make the right choice and not be disappointed in it when working.